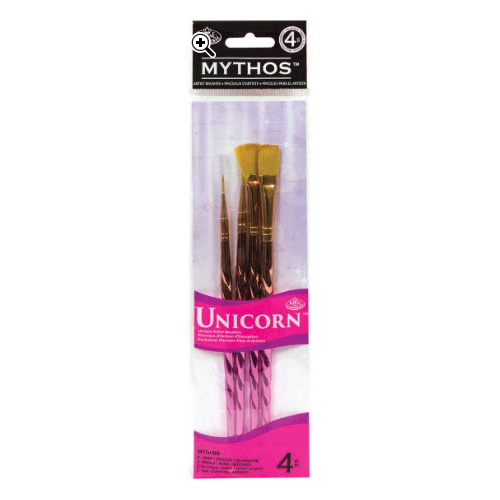 This set of 4 acrylic handle brushes have a metallic finish and swirl of a unicorn horn. 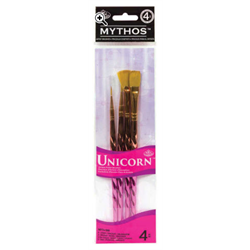 Bristles are a durable gold taklon and are perfect for nearly any paint method. Kids and adults will love painting with them!